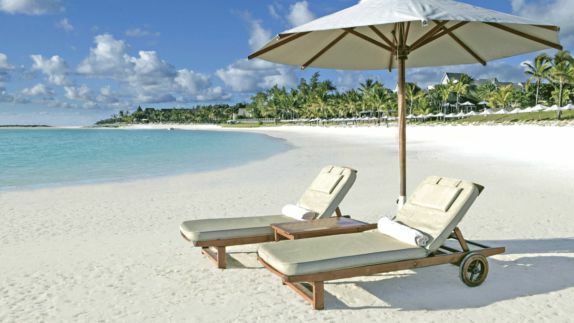 Mauritius – a glistening teardrop island in the Indian Ocean – welcomes you with open arms and a big smile. 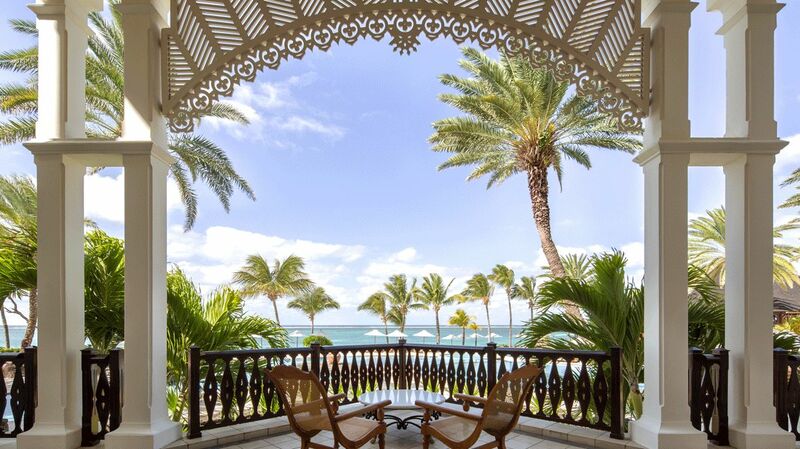 Experience the elevated interplay of modern elegance with colonial style elements at The Residence Mauritius, a secret jewel situated on the east coast of the island. The charm and warmth of Mauritian hospitality at the resort will make it easy to feel at home and fully immerse yourself in the magnificent beauty of this oceanfront haven with a pristine beach and endless opportunities to explore the island and marine wildlife. 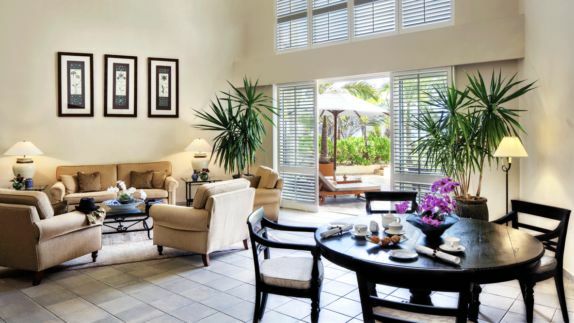 Why should I decide on The Residence Mauritius for my trip to Mauritius? 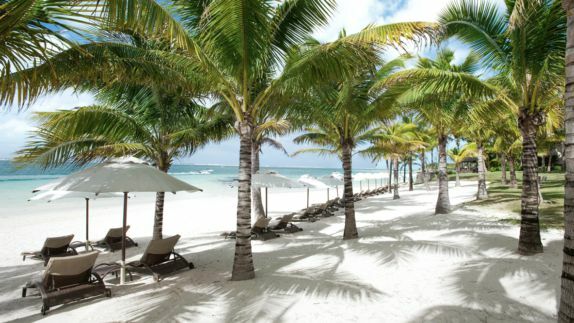 Situated in the Indian Ocean off the east coast of Madagascar, Mauritius is a tropical paradise, full of natural wonders ranging from clear turquoise waters and sandy beaches to rugged mountain peaks and lush tropical greenery. 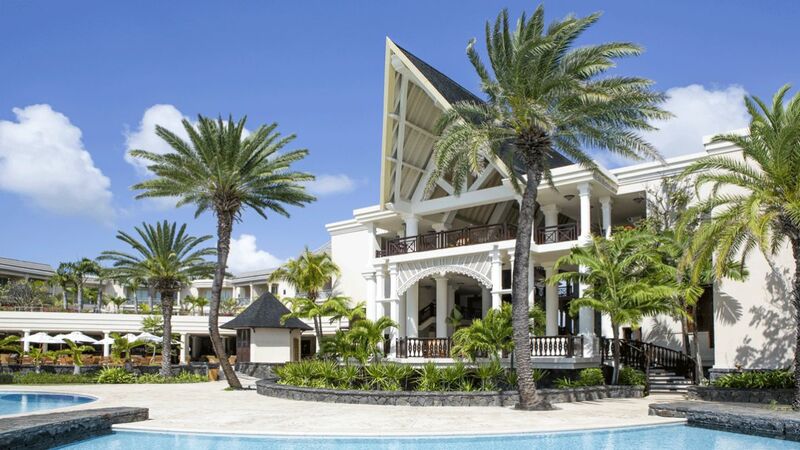 On the east coast of Mauritius resides the magnificent The Residence Mauritius, the perfect location for sunbathing and swimming, snorkeling or getting to know the locals. Slow down and go with the flow of the island to fully experience everything Mauritius has to offer. Which amenities does my private space offer? Does every room provide ocean views? 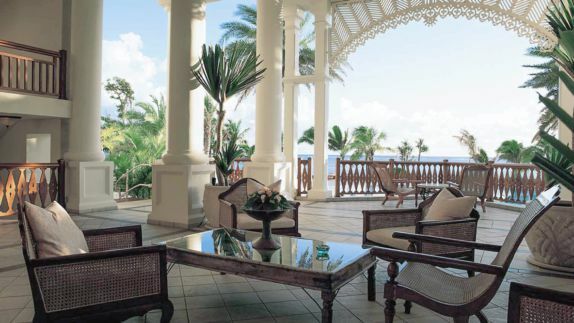 The Residence Mauritius offers 135 well-appointed rooms and suites in elegant hues of beige and white with breathtaking views of the sea or the lush gardens. 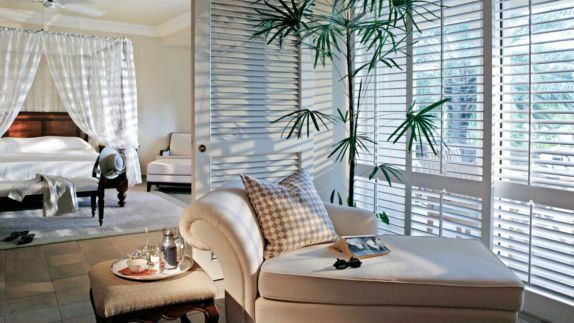 Wake up to the sound of the gentle waves at the shore as you open your eyes and are greeted by the soft light of sun rays shifting through the shutters. On your private sun terrace, sink into the plush sun bed and start your day with an undisturbed view of the turquoise sea. Where can I rest and refresh after a long day of exploring the island? 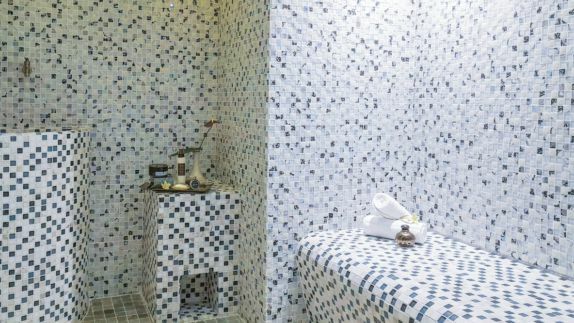 Wade through the waters of the lagoon-like pool at the heart of the resort and marvel in the scenic view of the ocean. The large pool and beautiful poolside area is the perfect spot for sunbathing, finishing your book and simply marveling in the breathtaking view. 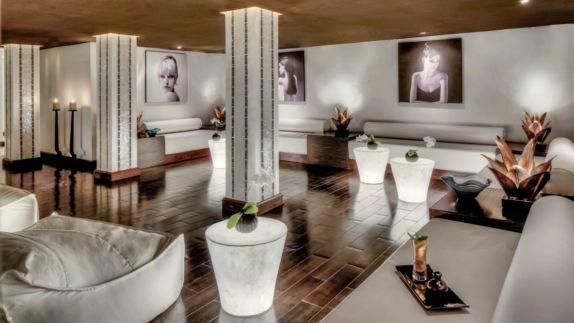 From your place on the sundeck take a stroll through the resort garden and wander to the spa pavilion, where you will find the Sanctuary Spa, a Zen-like haven of pure relaxation offering its visitors healing rituals and pampering treatments with only the best spa products. 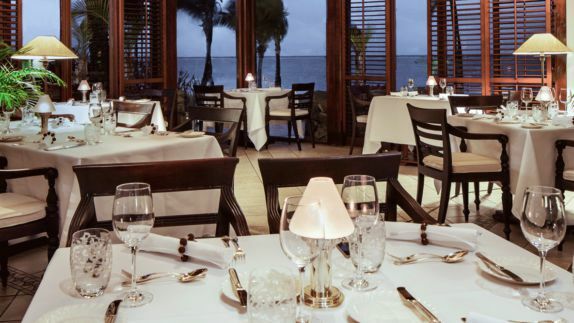 What is on the menu of a traditional Mauritian restaurant? Where can I dine and watch the sunset? Mauritius is an island with a unique blend of different cultures and traditions, which can not only be seen but also tasted in the flavourful cuisine of the island. Savor fine dishes with a mixture of Indian, Chinese, European and Creole influences, prepared with various exotic spices, local products and lots of love. Start your day with a variety of fresh juices and in the evening dine with the sound of the waves in a breathtaking oceanfront setting as the sun slowly turns the sky into vibrant hues of red, pink and yellow. How can I spend my day on Mauritius? What is the wildlife like? Wander through small villages to experience the unique blend of traditions and cultures, gaze at Notre Dame des Bon Secours, a church made from black volcanic rock, and its vibrant blue glass windows or take in the spectacular scenery as you sail through the aquamarine lagoon past picture-perfect white beaches. 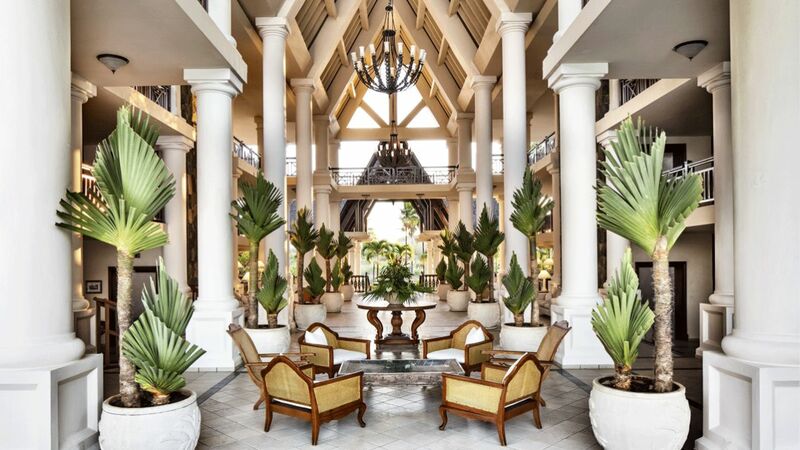 The concierge at The Residence Mauritius will make sure to suggest you the excursions most suitable for you, so your stay will be absolutely unforgettable.